From satire comes our deepest truths. 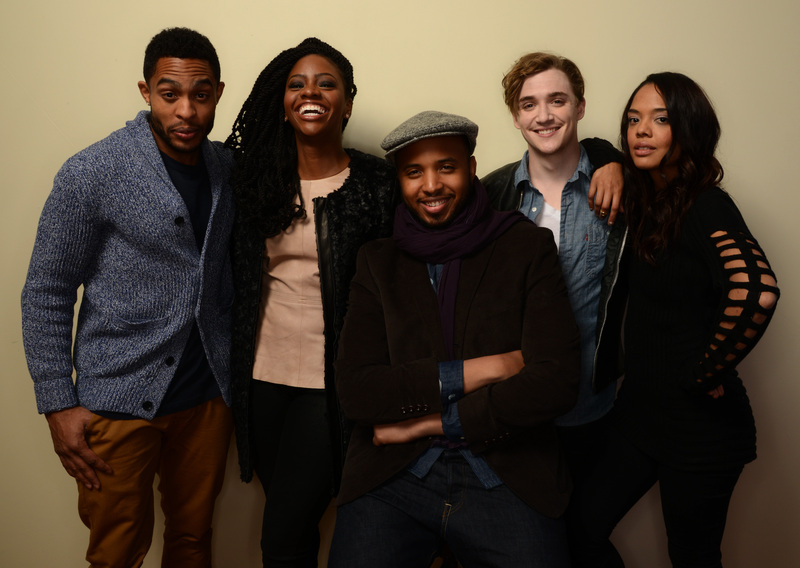 This past weekend at the Sundance Film Festival, up-and-coming director Justin Simien debuted his film Dear White People, a satirical meditation on race-relations in "post-racial America" (not enough air-quotes in the world for this one). The film grew from a Twitter account where today people are sending their thanks to Simien for his film, and was crowd-funded through an Indie Go Go campaign. It's been creating a lot of buzz and conversation, which is precisely what Simien had hoped for. Dear White People explores the lives of black students at a fictional Ivy League university, struggling to find their identity both in their microcosm of privilege as well as their identity as POC in general. The title comes from a radio show that one of the main characters broadcasts, debunking myths that white people hold on to regarding black culture (Dear white people, please stop touching my hair). At Variety, film critic Justin Chang notes that "If it ultimately feels modestly edgy rather than shocking or dangerous, Dear White People nonetheless provokes admiration for having bothered to ask some of the hard questions without pretending to know any of the answers." Therein lies the struggle: should a film about race relations in America try to provide answers? After 12 Years a Slave, Fruitvale Station, and Lee Daniels' The Butler, Simien's picture is refreshing in its humor and satire. He didn't choose a historical moment to explore issues that are relevant to young black students trying to wade through academia, he instead focuses on the here and now, and lets the audience find a current answer on their own. Also laudable is Simien's bravery in his confrontation and openness to conversation: the title of the film itself is a call to white people to, well, answer for their treatment of black culture. The veil of satire perhaps takes the edge off, but will white people watch and respond to this movie in the way that Simien hopes? The door is obviously open for the conversation to continue, which is a sort of artistic vulnerability that's admirable but also dangerous, especially regarding race-relations. Simien is receptive to that dialogue, too — he provides this disclaimer before his screenings: “For all the white people in the audience, on behalf of all the black people in the world, you most definitely have permission to laugh." It doesn't seem like an unachievable goal, but surprisingly, beginning those discussions, especially between friends of different races, is tenuous. Simien's film is so painfully of the moment — it started from a Twitter!—and that address of social media and its role in race-relations between (dare I say) millennials is crucial. It's an exciting moment, and I hope that from Dear White People comes better understanding... and that someone responds to Simien's feature-length open letter.